Spencer Johnson. A 7 year old girl with a heartbreaking past. Her parents died when she was 4 and has been living in Foster Care ever since. But as an outcast she was never treated right. What happens when two of the Fifth Harmony members find Spencer injured in the middle of the night with no memory of why she ended up there? Will they take her home? Or will Spencer forever be an outcast? Adaleigh Rose has never in her life been anything but a gift to those who endure her presence. She is loved by all and has the spirit of a flower child. So why would young Addie be loved by everyone, but her own parents? Fifth Harmony have just finished there reflection tour and are now settling in back home in their house in Miami. They feel as if there is a presence missing within there tight friendship, and decide to adopt. After being in the orphanage for as long as she can remember, 3 year old Addie has dreams of being in a family. So what happens when Fifth Harmony and Adaleigh cross paths? Lily is a 4 year old girl. Lily has been in an orphanage since she was a baby. The kids in the orphanage and the owner of the orphanage hates her. What will happen when a certain girl group come into the orphanage one day. Brielle has never felt loved by her parents. Constantly being beaten and bruised by the people who are supposed to love her the most. She longs to feels safe and be apart of a real family. For as long as they can remember, Lauren and Dinah have longed to add a special edition to their family. Someone they can look after and spoil to endless limits. So can long awaiting foster parents Lauren and Dinah give her this opportunity? Life has been tough for 11 year old Erin. She has moved around from different foster homes and has never felt cared for or loved by anyone her whole life. One day she runs away from her current foster home and bumps into 5 girls inside a Waffle House. Will they help her? Will Erin finally learn what it feels like to be loved? Keep reading to find out! Jane Murphy, she got suspended, had some fights, got bullied, but never really showed her feelings to anyone. She hides her secrets inside of her and never let them out. Will Jane be able to let fifth harmony help her or will the secrets about Jane explode? "This world isn't as bad as you have been made to believe." From the moment Willa was born her world was like a dark cloud. She was born into the hands of those who wanted to inflict pain. She never knew what it felt like to be loved. Maybe it was time for someone to change that. "We're all just specs floating around, lost in the crowd of billions of other specs. It's hard to find your place, it's hard to stand out, but sometimes we don't have to. I want you to know, Willa, that out of all the specs in this world you have captivated the most important piece of my heart." 5 year old Lynn, gets adopted by Fifth Harmony. The girls are super attached to her and love her dearly. Lynn is still a bit shy around them and scared of sleeping alone at night. The girls, especially Camila are nuts about that. Mikayla is a 15 year old girl who plays basketball, has trust issues, and had her parents and sister killed in a car crash. 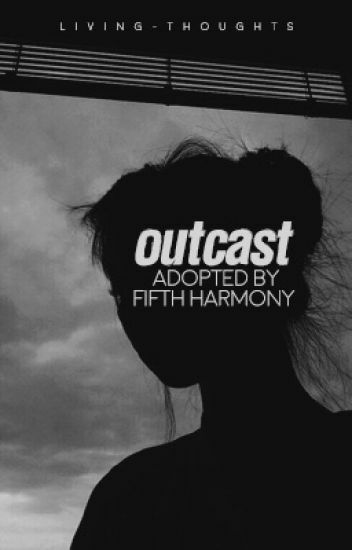 She gets adopted by Lauren Jauregui but their will be some bumps in the road. And what if she finds love along the way? Read more to find out what will happen. "What's your name?" The older girl asked,her bright emerald eyes boring into the younger girl's. "Averi," the younger replied,not breaking eye contact. "Averi..." The older persisted, wanting a surname. "J-Jauregui." the young girl said with a slight shake. And that was all the conformation the bright eyed girl needed.